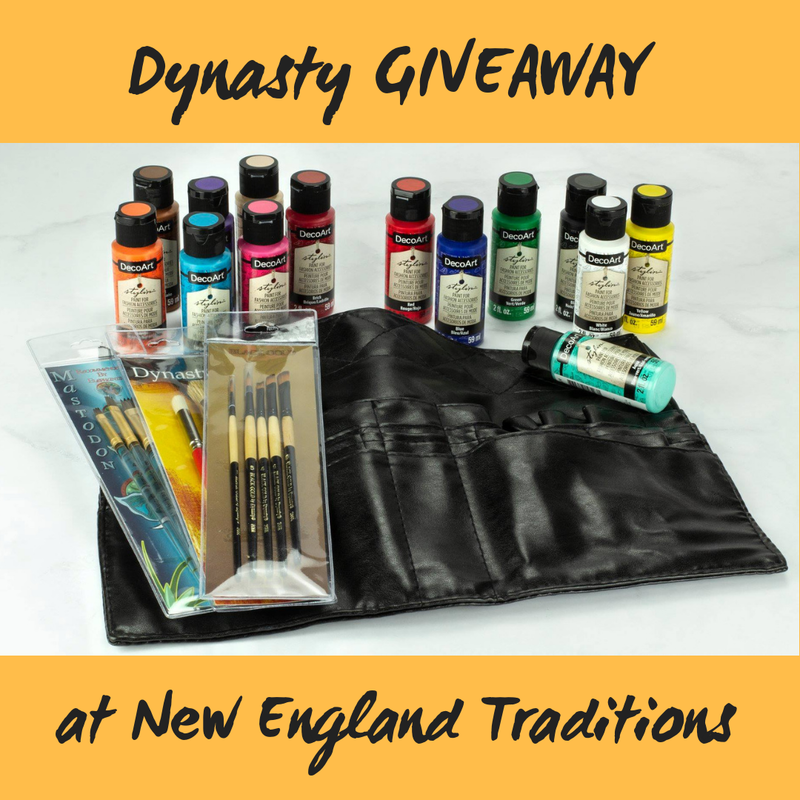 Dynasty Blog: New England Traditions GIVEAWAY! The first day of fall is almost upon us and soon we will get to experience all the beautiful foliage Massachusetts has to offer as we travel to the New England Traditions painting retreat in October. We will have a few special Tricks and Treats available at booth 13 including a GIVEWAY! Be sure to sign up for our raffle! One lucky artist will win a prize package that includes a variety of Dynasty brushes and a selection of DecoArt Stylin' multi-surface fashion acrylic paints! So be sure to visit us in booth 13 at the New England Traditions paint retreat in Marlborough, MA, October 2-7, 2018 at the Best Western Royal Plaza Hotel. And don't forget to take a photo while you are there! 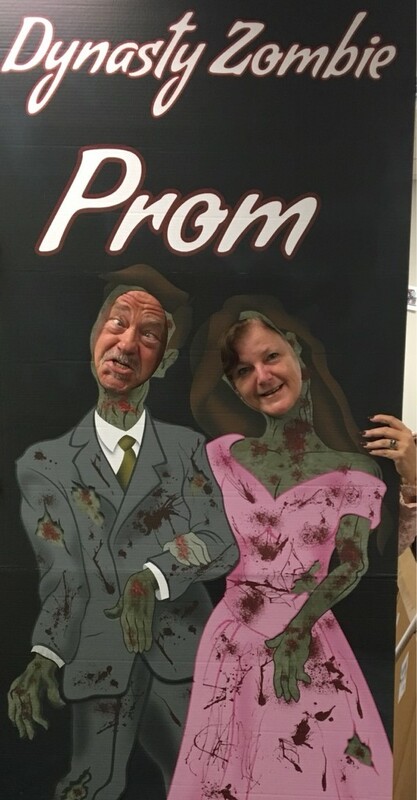 Greg and Veronica getting our booth decor ready! And as always, you can learn more about all of our lines of artist brushes and our commitment to quality by visiting our website.